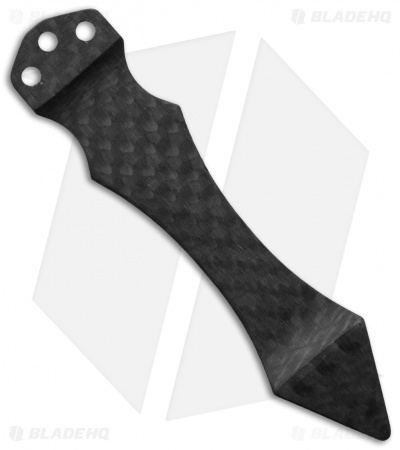 The Gladiator carbon fiber pocket clip from St. Clair Designs will fit any knife using the standard three hole pattern as used by Benchmade, Emerson, and some custom knife makers. Please Note: This carbon fiber pocket clip is rigid to add strength, and as a result it doesn't flex much. It's designed to sit perfect on a flat scale but if the handle tapers the clip may sit high or a little tight. Fits my ZT 0630 beautifully. Flawless craftsmanship. Beautiful genuine carbon fiber. Easily worth the 50 bucks.